A collection of cute reindeers. Many to choose from. Not all are shown. 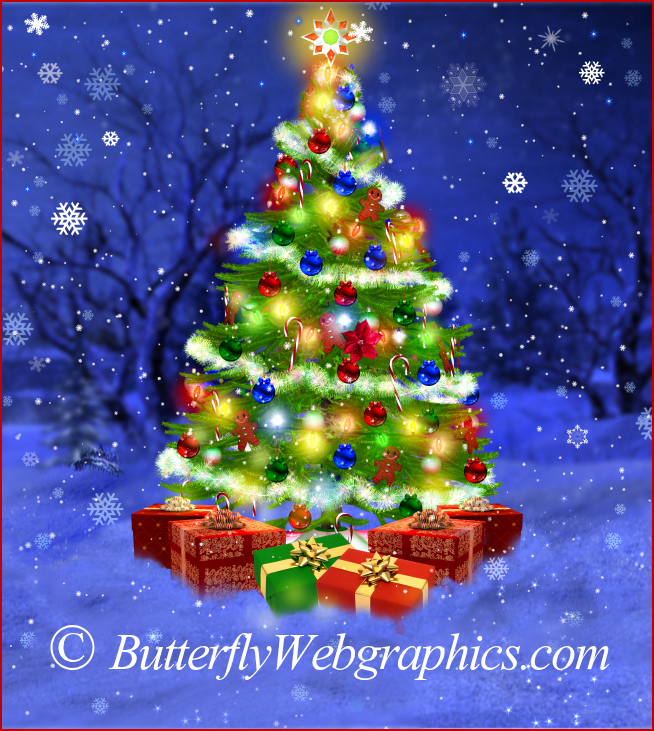 The snowy Christmas tree background I used in these promo images is included. The cutest reindeers in the North Pole await you. 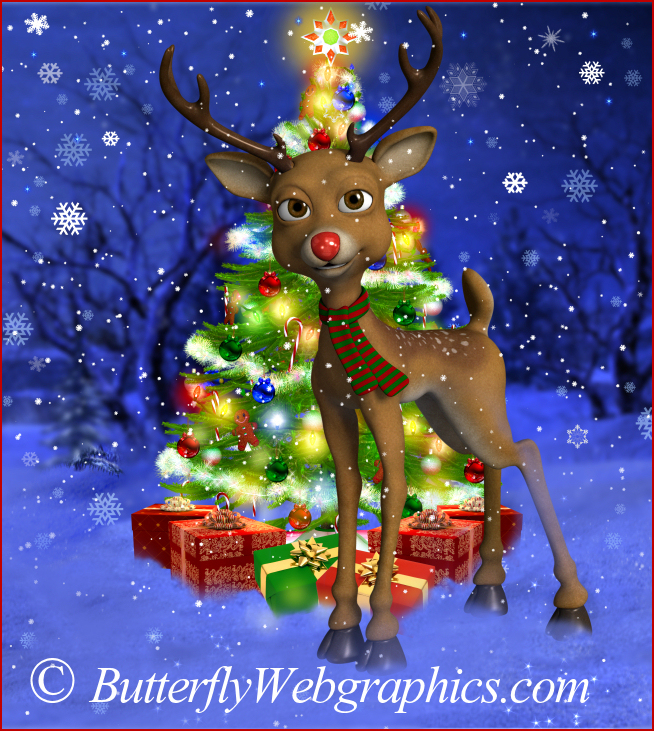 Little Reindeer Graphics–a collection of adorable deers that will be the perfect subject or embellishment for your holiday designs. I used them in my Christmas Lady Rose package, and I’m sure to use them often in the future as they’re so incredibly cute and full of the holiday spirit. They seem to hold the warm nostalgic appeal of Christmas past. 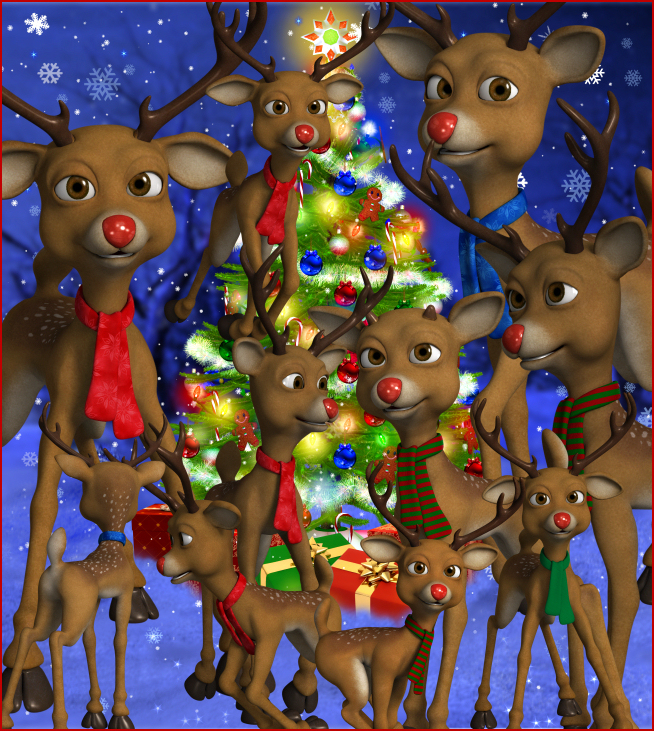 Several reindeer are included, including a female version with tiny antlers. 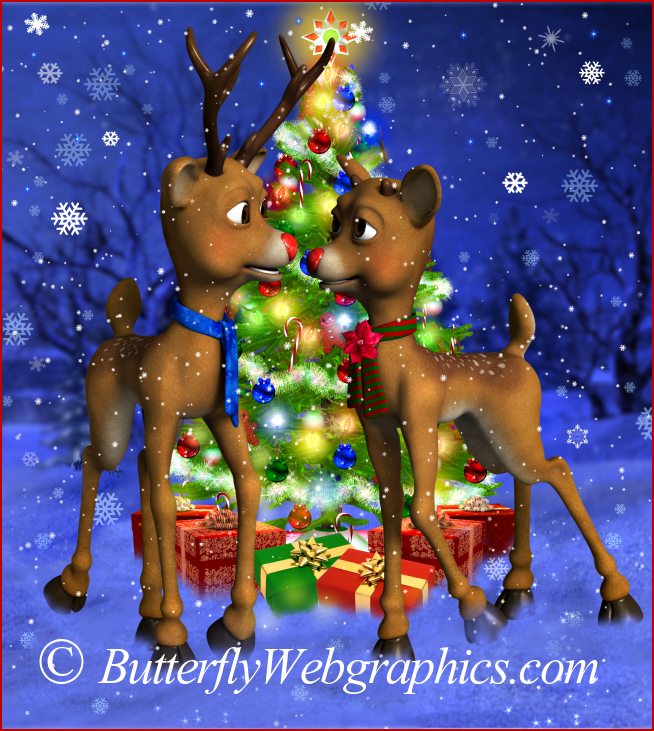 I’m throwing in the colorful snowy Christmas tree scene and the reindeer couple I used in my first promo to add some holiday romance. These reindeer are sure to add the cheer, visual appeal, and warmth wherever they’re used this holiday season. They’re one of my favorites, and I’m sure they will become one of your favorites as well as they will be perfect for so many holiday design projects. The background I’ve included is 2396 X 2681. And the reindeer vary greatly but are about 1200 X 2400.